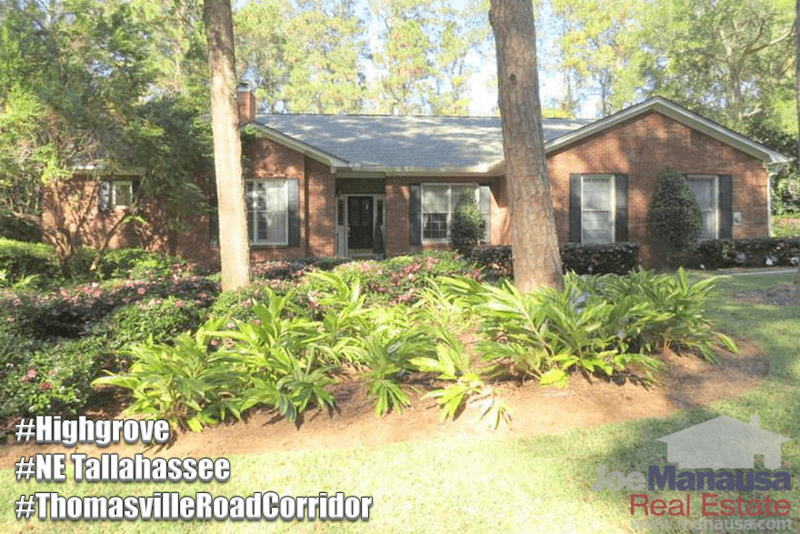 Highgrove is a higher-end neighborhood in NE Tallahassee that features large homes situated on nicely wooded homesites. 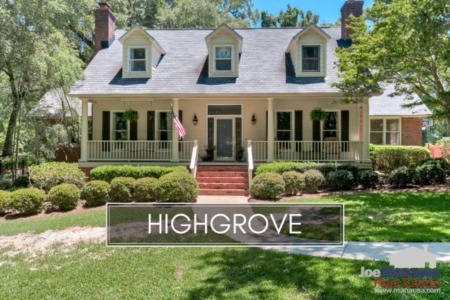 Offering fast access to downtown Tallahassee along the Thomasville Road Corridor, Highgrove is a popular destination for buyers who are seeking (and can afford) 3000+ square foot homes. Most homes were constructed from the 1980s through the 1990s, though a handful or so have been been since that time. This means that Highgrove is beginning to morph into a "buy and renovate" neighborhood for people with budgets exceeding $500,000. 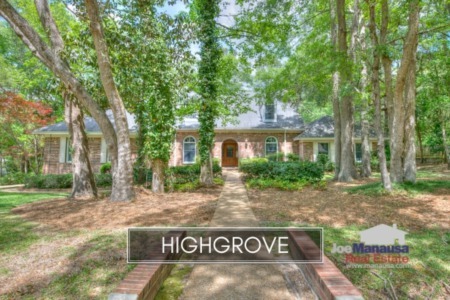 Currently, there are three homes for sale in Highgrove, though one is already under contract. It is important to note that the narrative contained below is for sales through December for all previous years, but through the tenth of January in 2017. The graphs and the closed sales table will be continuously updated into the future (meaning bookmark this page if you always want to know the current status of homes for sale in Highgrove). Last year, nine Highgrove homes sold for an average price of $400,900. This means the average home price dropped more than 13% from the average posted in 2015, but as you will below, this does not mean that homes fell in value. The pace of home sales in Highgrove back in the 1990s equated to about 12 homes sold per year, and 2016 finished a little short of that pace. With low interest rates still stimulating the middle and high end of our market, don't be surprised if we don't see Highgrove return to its normal rate of home sales within the next year or two. While the average Highgrove home price fell last year, the average home value rose more than 4%. The $125 per square foot average in 2016 was the highest recorded in Highgrove since 2009. The average home size sold in Highgrove typically falls in a range of 3,000 to 3,600 square feet, and last year's results were consistent with this range. The 9 home sales in 2016 averaged 3,316 square feet, and explains why we saw average home prices drop while average home values rose. The average home size sold in 2016 was more than 11% smaller than those sold in 2015 (and you would expect smaller homes to sell at lower prices than larger homes when all else is equal). This is why we must monitor home sizes, home prices and home values to get a better feel for trends occurring in the Highgrove neighborhood. I hope you enjoyed our January 2017 update on home sales in Highgrove, please feel free to CONTACT ME HERE if you need a real estate broker or are considering selling your home. Have You Seen What Is Happening In The Top 1% Of The Tallahassee Housing Market?